AudioBoo for iPhone for free from Leo Laporte. White Noise for iPhone for $1.99 from Scott Bourne. AutoStich for iPhone for $1.99 from Alex Lindsay. 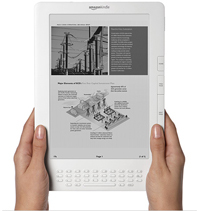 Kindle DX for $489 from Andy Ihnatko. Fiwi at http://www.wordpower-software.com for .99 from Don Mcallister. The Food of a Younger Land: A Portrait of American Food–Before the National Highway System, Before Chain Restaurants, and Before Frozen Food, When the Nation’s Food Was Seasonal from Andy Ihnatko.